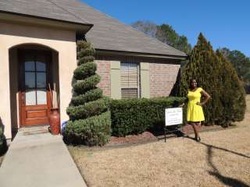 Webb of 104 Maplewood, located in the Lafayette Broadmoor Subdivision. 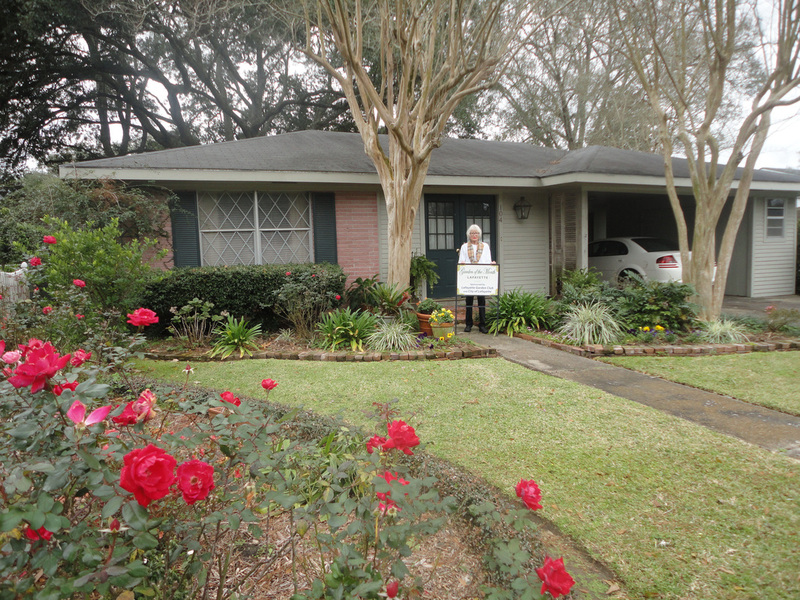 ferns are all growing under her beautiful 25-30 year old crepe myrtle trees. snapdragons, golden lysimachia, violas, pansies, fashion azaleas and sasanqua camellias. The garden is also planted with dusty miller, agapanthas, society garlic and mondo grass. a few of the plants in the landscape. 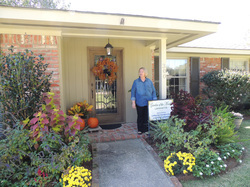 Mrs. Ken Stephan whose home is located at 136 Fletcher. Pansies, snapdragons, irises, and geraniums provide color to the garden area. the greenery added to the landscape design. 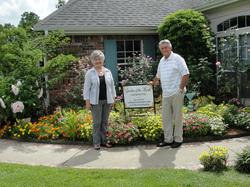 garden of the month sponsored bythe Lafayette Garden Club. agapanthus, daylilies and flax grass were some of the plants included in the garden. 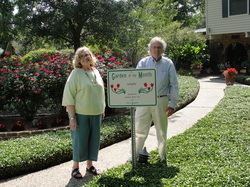 Mr. and Mrs. Marty Leonard at 211 Brightwood, Grand Point Subdivision, received the Garden of the Month sponsored by the Lafayette Garden Club. 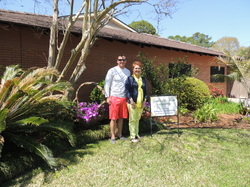 The garden collection included winter annuals surrounded by Chinese Mahonia, Ligularia, Dwarf Bottlebrush, Eagleston Holly, Foxtail Ferns, Formosa Azaleas, Sasangua and Camellias. Garden ornaments enhanced the English Landscape. 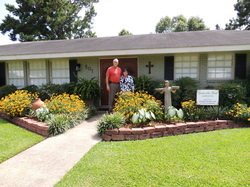 Jean and Marty Leonard are picture in front of their home. 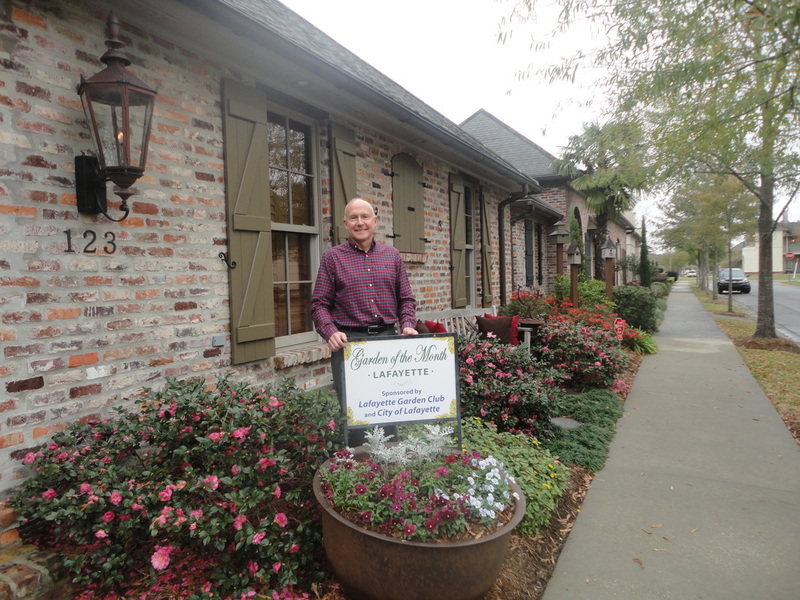 The home of Mr. and Mrs. Jeff Courville located at 610 River Oak Circle received the Lafayette Garden Club yard of the month award for December. The landscape featured a swing under a large oak tree surrounded by mondo grass. 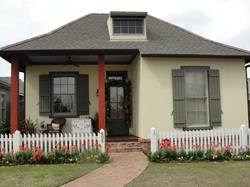 The mailbox area contained pink muhly grass with ornamental cabbage,pansies, and snapdragons. 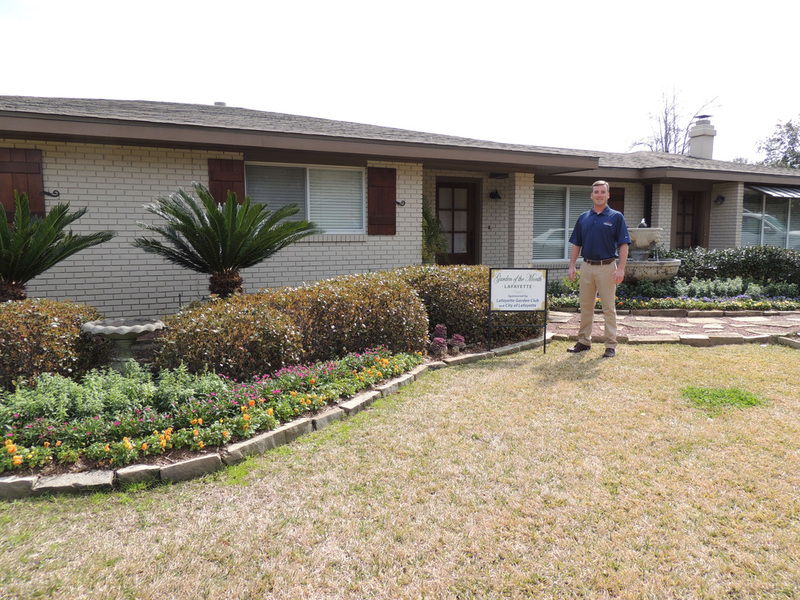 Other plants were fox-tail ferns, shi-shi camellias, azaleas, lorapetalum, Chinese mahonia, and hydrangea. 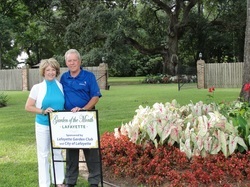 Martha and Jeff Courville are pictured accepting the award. 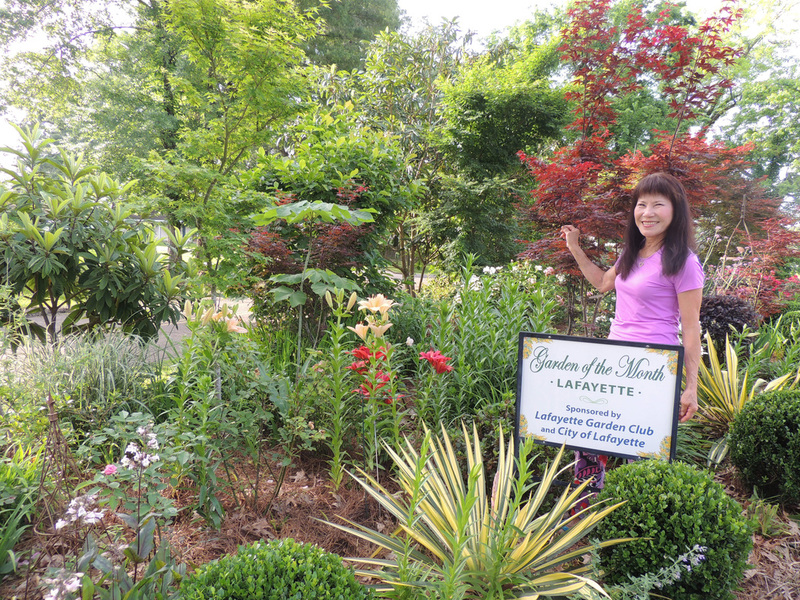 myrtle,nandina, daylilies, and camellias are also some of the plants in the landscape. 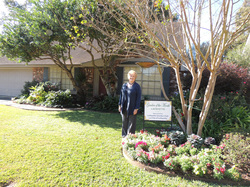 with an assortment of plants enhance the landscape. 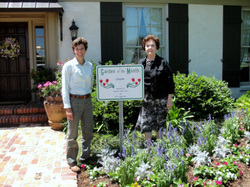 Mrs. Fleming is shown in the picture. 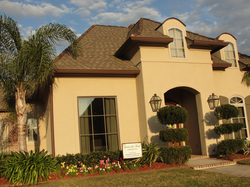 ruby, esperanza, lantana and begonia also adorn the landscape. Mrs. Milam and her dog Bella are shown in the picture. pottery are intermingled within the landscape. The garden boast an array of color. garden. Pam Ratliff and Steve Brown are shown accepting the award. beautiful crepe myrtle and Japanese magnolia grace the outer edge of the landscape. 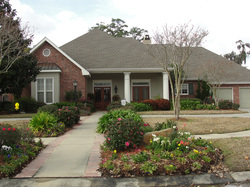 poinsettias, ferns, and gaura are just a few of the plants in the landscape. a large magnolia, and various other plants are in the landscape. 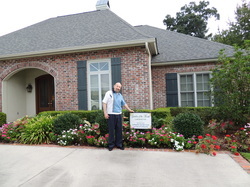 filled with crepe myrtles, hollies, liriope, agapanthus, azaleas, boxwood and camellias. Various statues are placed in the flowers beds enhancing the landscape. 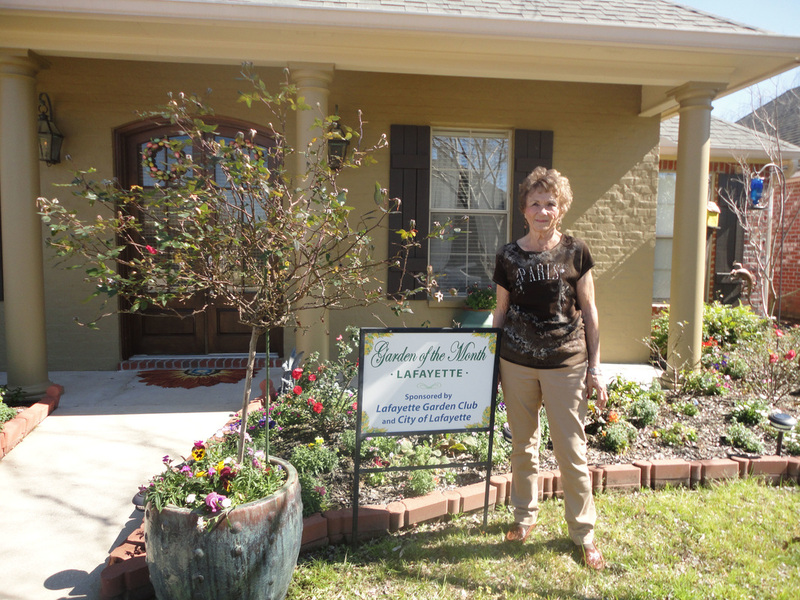 Lisa and James Alexander are the February 2014 winners for the Lafayette Garden of the month. Formal topiaries of blue juniper flank the entrance to the home of Mr. and Mrs. Alexander. 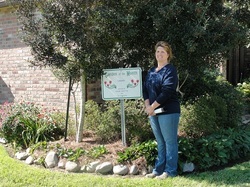 The garden also includes dwarf Buford hollies, large cedar trees and knock-out roses. Decorative pottery accent the landscape. fox tail ferns, snapdragons, bottlebrush shrubs, variegated ginger, and a variety of other plants. 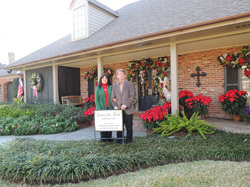 Poinsettias and colorful Christmas Decorations adorn the front porch. 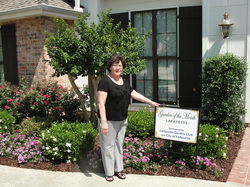 Chateau Place, is the Lafayette Garden Club of the Month December winner. 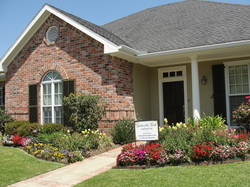 flower beds consist of lantana, bottle brush, camellias, hibiscus and begonias. St. Francis, an old park bench and lovely stone water feature in a peaceful setting. 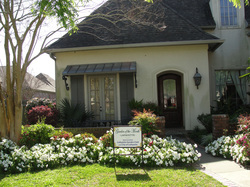 gaura, sunpatiens, zinnas, camellias, azlaleas, roses, and agapanthus. 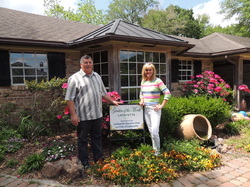 A garden girl with various sizes of decorated pottery are additions to the garden of Mr. and Mrs.
caladiums, angelonia phlox, penta, rudbeckia and coneflowers. 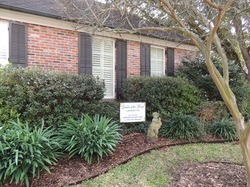 located at 103 Chartwell Lane. 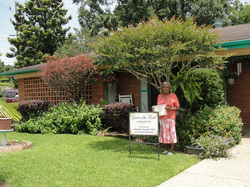 Ms. Alice Harmon spends much of her time tending to her garden and it shows. 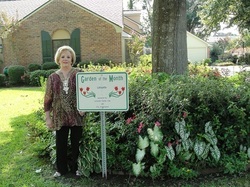 Garden Club Garden of the Month June winner. azaleas, camellias, hibiscus, ferns, pansies, snap dragons, dianthus. A sugar kettle filled with agapanthus and caladiums adds a focal interest. palms and crepe myrtle and river burch trees. trees, Magnolias, Indian Hawthorne, Camillas, roses and agapanthus. 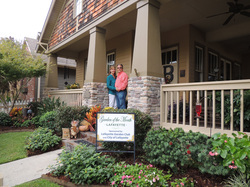 pansies, and colorful mums are added for a touch of fall. 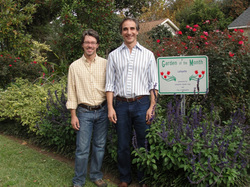 the October 2012 Garden of the Month by the Lafayette Garden Club. fountains and objects of art. ecorative pots, and statuary can be seen throughout the garden. 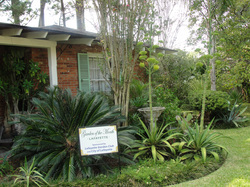 garden also includes cannas, daylilies, Loropetlum, lily of the nile, hibiscus, and palms. 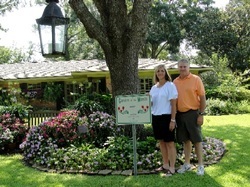 and crepe myrtles. 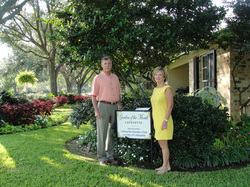 Other plantings include hydrangeas, lantana, and bird of paradise. of kitchen herbs such as rosemary and basil. rosemary, plumbago, night-blooming jasmine and purple spiraea. 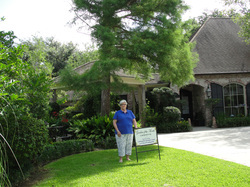 The Lafayette Garden Club chose the home of Mrs.
has many trees to include vitex, maples, magnolias and coral bark trees. hydrangeas. The garden also has statues of animals and birdhouses. statues, fountains, and a sun dial. shrub and many more plantings. 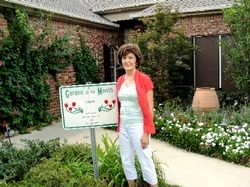 May 2011 Garden of the Month by the Lafayette Garden Club. 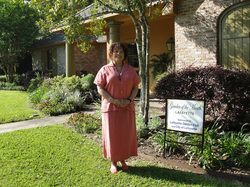 with Mrs. Billeaud is her daughter Mrs. Lorraine Broussard. trees. 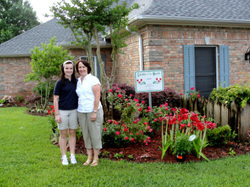 Pictured is Mrs. Bivins with their daughter Shelby.